Kemba Hudley Walker is an American professional basketball player for the Charlotte Hornets of the NBA. Walker was drafted ninth overall by the Charlotte Bobcats in the 2011 NBA draft. Walker played college basketball for Connecticut. He is a two-time NBA All-Star. During his freshman year at UConn, Walker was named to the Big East All-Rookie Team. He helped the Huskies achieve a number one seed in the 2009 NCAA Tournament. In his junior year, he won an NCAA championship with the Huskies and was a finalist for College Basketball of the year honors. In his rookie season(2011-12), after an injury to point guard D. J. Augustin, he was the starting point guard for the Bobcats in a lockout-shortened season, He participated in the 2012 NBA Rising Star Challenge. 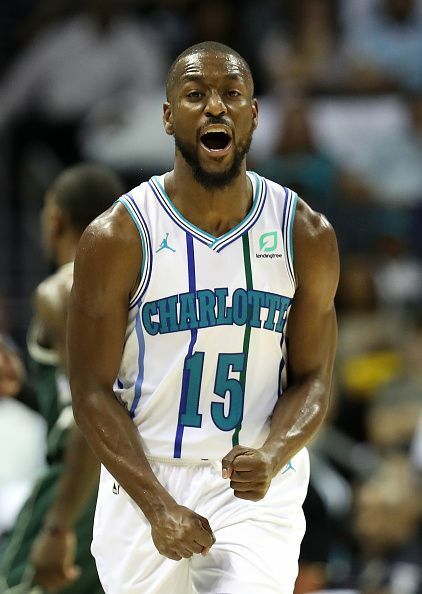 Kemba's stats improved in the 2012-13 season as he averaged 17.7 points, 5.7 assists, 3.5 rebounds, and 2 steals a game. On January 18, 2016, Walker set a career-high and a franchise-record with 52 points in a 124–119 double-overtime win over the Utah Jazz. On January 26, he was named as an Eastern Conference All-Star reserve for the 2017 NBA All-Star Game, He followed that up with another appearance in the 2018 All-Star Game.